I begin with the circle because it is known as the mother of all shapes; it is the archetypal shape from which all other geometry is drawn. 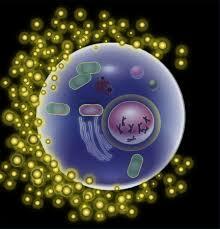 This is true in nature as well… the egg cell is round – it is the potential beginning of a new life. The primary principle of the circle is a container that protects, supports and ultimately produces life. The circle occurs in scale from minuscule sized atoms, and expands to the mega sized, as in our planet, the Earth and all the celestial bodies in our solar system: Moon, Venus, Mars …. Pluto, and the Sun. This is the realm of the Heavens. 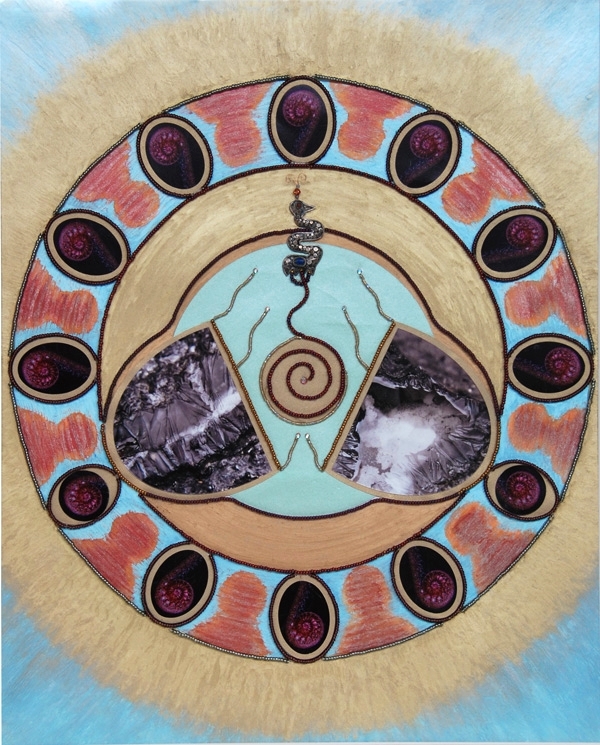 The circle often represents the Cosmos. Early ancestors used circular symbols as part of their r lexicon embedding their experience within the larger universe. 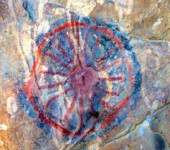 From creation stories to historic events, these pictographs utilize primary shapes, like the circle to embed greater meaning – a kind of cosmology that integrates the microcosm and macrocosm. 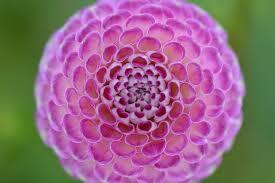 In Nature, circular shapes take many forms; gazing at a flower, a resonance of joy in beauty and gratitude is evoked. The underlying pattern of shapes taps into a deeper, more mysterious vibration. The geometric shape consisting of 7 circles, (a central and 6 around), is called the Genesis pattern, evoking the Christian creation story; it has ancient origins as an image of the ‘seed of life’. 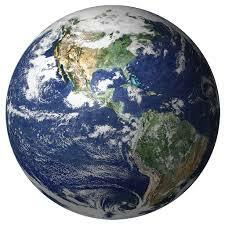 Such images speak to our super-conscious mind, reminding us that we exist within an integrated whole. 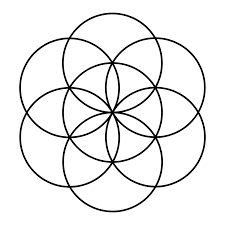 The center detail on the left is of a particularly potent symbol called the ‘Flower of Life‘ appearing in many culture all over the world, the oldest of which is at the Temple of Osiris in Egypt (6 – 10,000 yrs old). 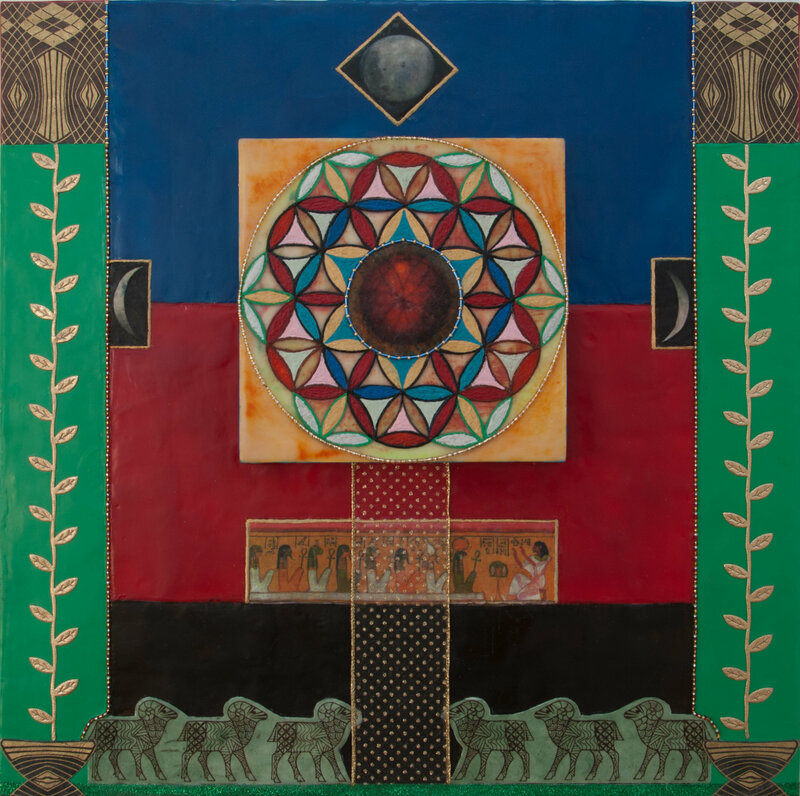 It is understood to be a powerful energy of transformation, used within the ancient mystery Schools; I honor the Egyptian wisdom by placing this beautiful pattern of 19 circles within a context of Egyptian cultural images. 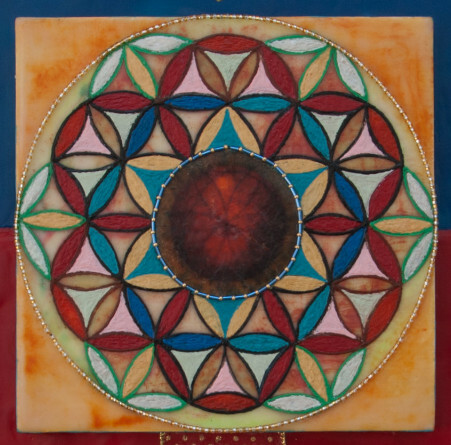 At the center of the geometric form is a fluid filled vascular eye, referencing the power of perception as we meditate and focus so deep within as to expand our consciousness outward. Transforming our consciousness from ego centric to Earth and/or Cosmic Centric, is the heart of our potential healing – shifting from fear to love. 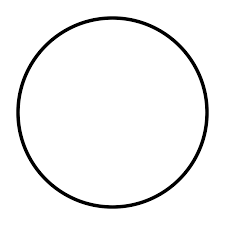 Such is the power of the mundane and sacred shape we call a Circle. Who / What is the Floating Woman? What does ‘Spiral’ mean to you? The Cross – Tap into the Essence of Being Centered!